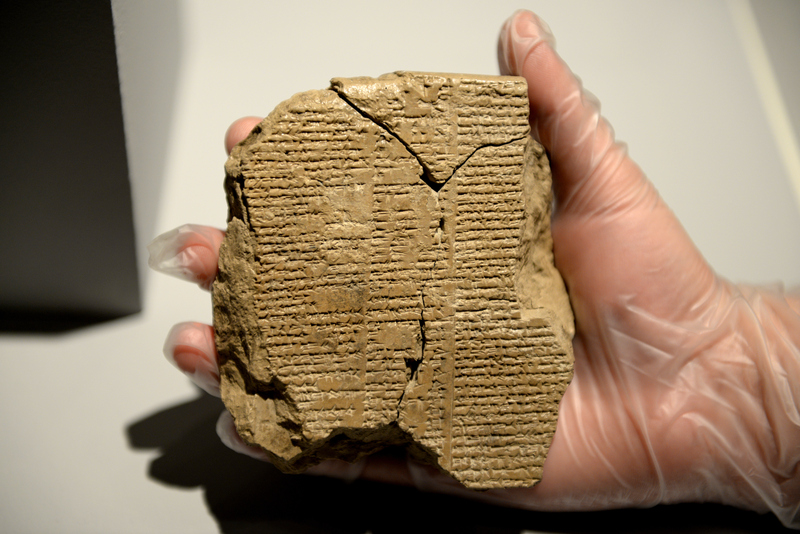 This entry was posted on Monday, September 28th, 2015 at 11:58 PM	and is filed under Ancient, Looting, Museums. You can follow any responses to this entry through the RSS 2.0 feed. You can skip to the end and leave a response. Pinging is currently not allowed. This is so awesome! New lines for the epic at $40 a pop! Sold! Dammit, another missed headline opportunity! The link to the paper does not work. We can’t have that. Try again now. FOR THE LOVE OF ALL THAT’S GOOD IN THE WORLD DON’T READ THE NEW PASSAGES OUT LOUD. That’s how the Old Ones are summoned. Well, at least don’t try to read them in the native tongue okay. I don’t know if That Which Shan’t Be Named understands English. 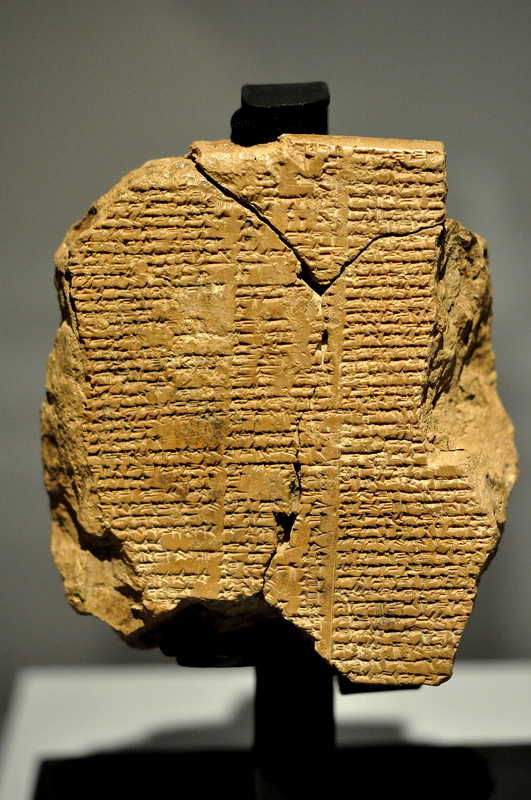 A small portion of the Gilgamesh epic was the basis of my doctoral dissertation in music composition from the University of North Texas! I happened to see a translation in the university library and it was much more interesting than what I was studying! My DMA let to a 33 year tenure as a professor of music composition at the University of Alaska Anchorage. My wife performed it in both Texas and Alaska and she survived! This is so wonderful! I sincerely hope we get to see a Miyazaki version of this someday! I love the way that sounds,thank you I didn’t know that!.. when the Gods created mankind life for themselves was set aside…!:)! Good, I think it’s time they were summoned! Was the Cedar Forest Lebanon? Was the cedar forest Lebanon ? Don’t worry dude. We can’t even figure out how to pronounce it. Indeed, this is how it struck me also, please see Sharif S. Elmusa “The Ax of Gilgamesh: Splitting Nature and Culture.” In Sharif S. Elmusa, ed., Culture and the Natural Environment: Ancient and Modern Middle Eastern Texts. The American University in Cairo Press, Cairo, Egypt, 2005. Thanks for the reference, Sharif! I’ll look up your article right away! Apparently being technically true satisfies the “thou shalt not lie” commandment. fedex? why put the true value which cant really be valued (priceless!) and pay the fedex fees which may be astronomical based on value? or.. if anything they short changed themselves if the item got lost by fedex…they were taking a chance… oh but they stole them??? oy. This means Humbaba was much like Tolkien’s character, Tom Bombadil, in THE LORD OF THE RINGS. Studio Ghibli was bought by Disney, and Miyazaki is retired, unfortunately, but it would be cool. The only ancient story anybody seems to want to tell is the Moses story. I would love to see this – anime, animated, live action, whatever. 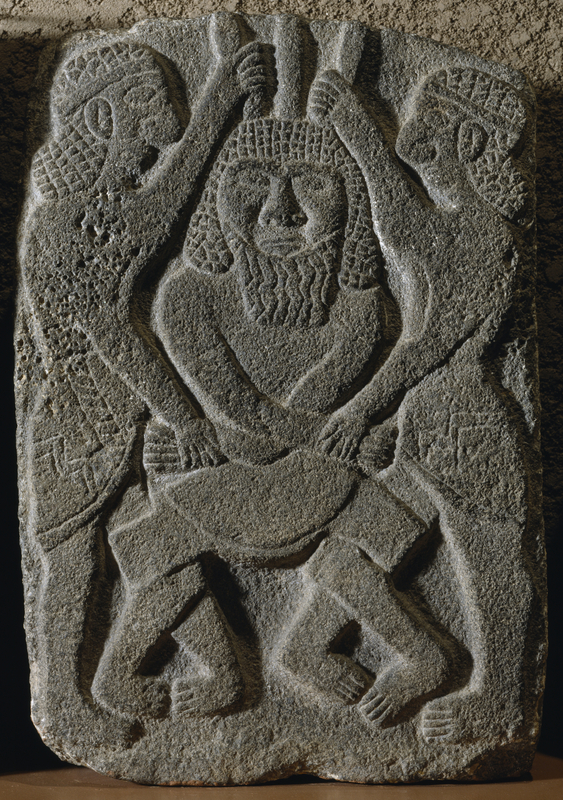 Humbaba or Humwawa is a king listed in the “Mesopotamian” kingdom lists, I think of Kish. Also, it is very important to realize his name wasn’t originally “Gilgamesh” it was Bilgames. I have found this character, and I can assure everyone he did “help build the walls of babylon”…he is a baby elephant. Bil=Ba’al. Ga=Ka. mes is a smithie…the Ka of a smithie? No, “Ka” is a Mycenaen military title. He is Lord Officer Blacksmith…Bilgames. But he is aka Ganesh. And I found a small statue of “Bilgames” the baby elephant. Enkidu is a later insertion into the original tale. “We have reduced the forest to a wasteland”…only elephants can perform that type of carnage on a forest. Trust me, this tale was “twisted” from the original…Bilgames was a baby elephant. That’s why his mother “worries about him” and asks Enki the Duke to watch over him.